The other day, we told you about a new technology that Essential reportedly is working on that would eliminate the need for a notch or a punch-hole. It also could replace the slider form factor that has been used by some manufacturers. Apparently, the sequel to the Essential Phone could pack a screen that becomes semi-transparent in places to reveal an in-screen camera and sensors. Now, a patent that Xiaomi filed with the World Intellectual Patent Organization (WIPO) reveals another way to eliminate the notch, punch-hole and the slider. The patent application, originally filed back in January of 2018, was published this week by WIPO and spotted by Lets Go Digital (translated). It shows that Xiaomi would use a curved edge screen design not only on the sides of the display, but also on the top and bottom as well. And the rounded top and sides extend to the back of the phone. With the phone's display curving at the top and bottom of the screen, there is no notch. Most likely, any handset produced with this design would use an in-display selfie camera, sensors and fingerprint reader. Note that the drawings show no notches or punch-holes. 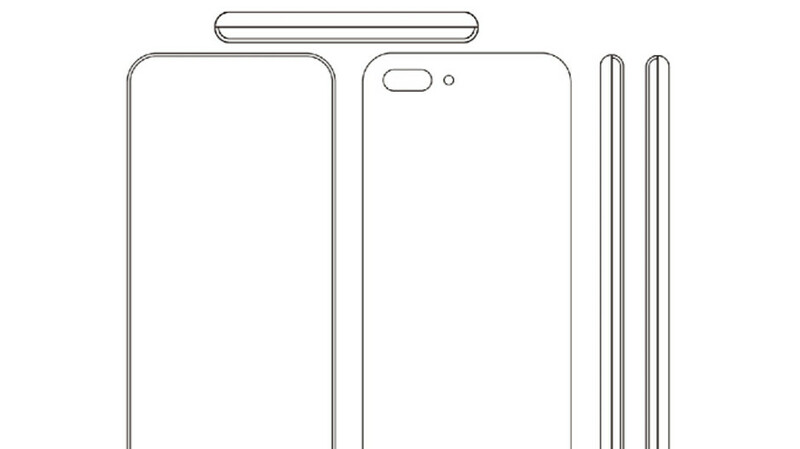 The patent illustrations reveal a dual-camera setup on back, and while there are no buttons on the unit, a USB-C port does appear on the bottom of the phone. As phone manufacturers continue to come up with new ways to increase the screen-to-body ratios of their phones, we should continue to see more patent applications similar to this one. Good: the cameras and sensors will eventually go under the screen and we will be having displays that are going to fill the entire front of the phones. The easiest way to fix the notch is to stop crying about a little bit of bezel. You need a place to hold the phone anyway. Seriously. They come out with a phone with no bezels, then folks are like "ugly chin". They get rid of the chin and folks are like "but that forehead!". When they get rid of all four sides, folks'll be like "look at that HUGE bezel on the back...there's like, no screen there!" I thought this was Samsung's plan initially for the S10. It's probably extremely challanging and costly to accomplish right now. https://www.phonearena.com/news/Slick-Galaxy-S7-edge-renders-build-on-top-of-existing-Samsung-patent-for-a-trapezoid-phone-design_id74744 Samsung's idea since 2015, xiaomi is trying to do what Samsung couldn't do back then. Top and bottom edge to edge? Case manufacturer's worst nightmare.